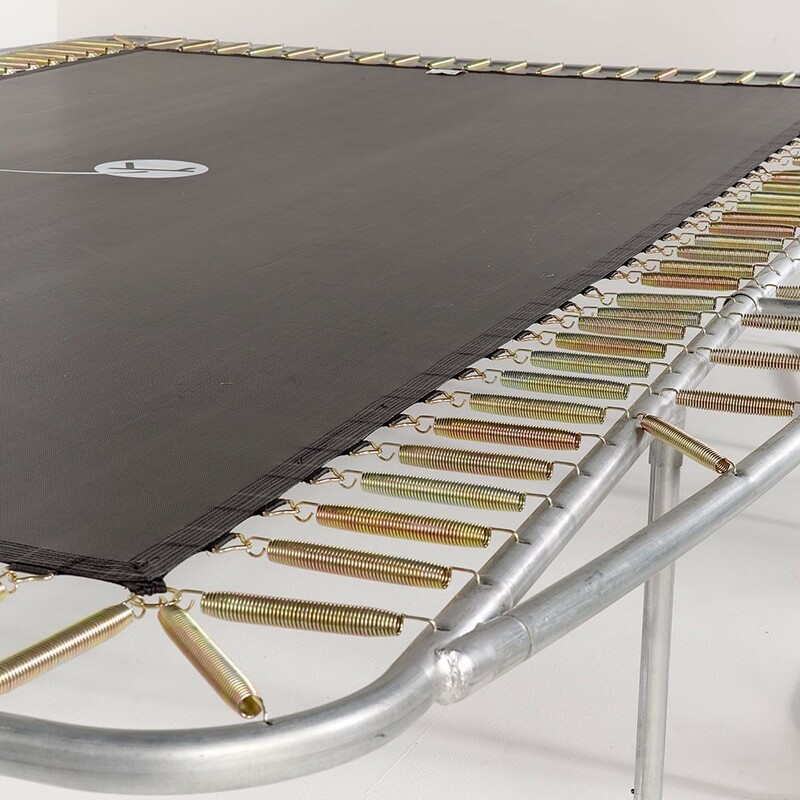 Change your damaged jumping mat on your Apollo Sport 500 trampoline. It is perfectly normal to have to change the jumping mat on your trampoline. 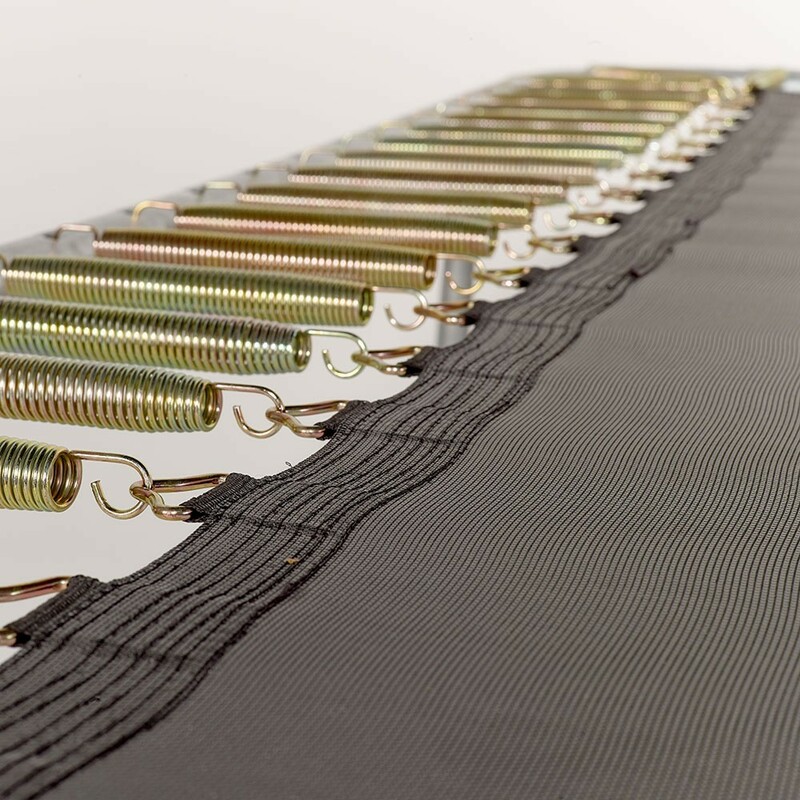 This is a spare jumping mat for your rectangular trampoline of 5.16 m by 3.69 m with 116 springs of 230 mm in length. Your trampoline does not however have to have been bought from France Trampoline. 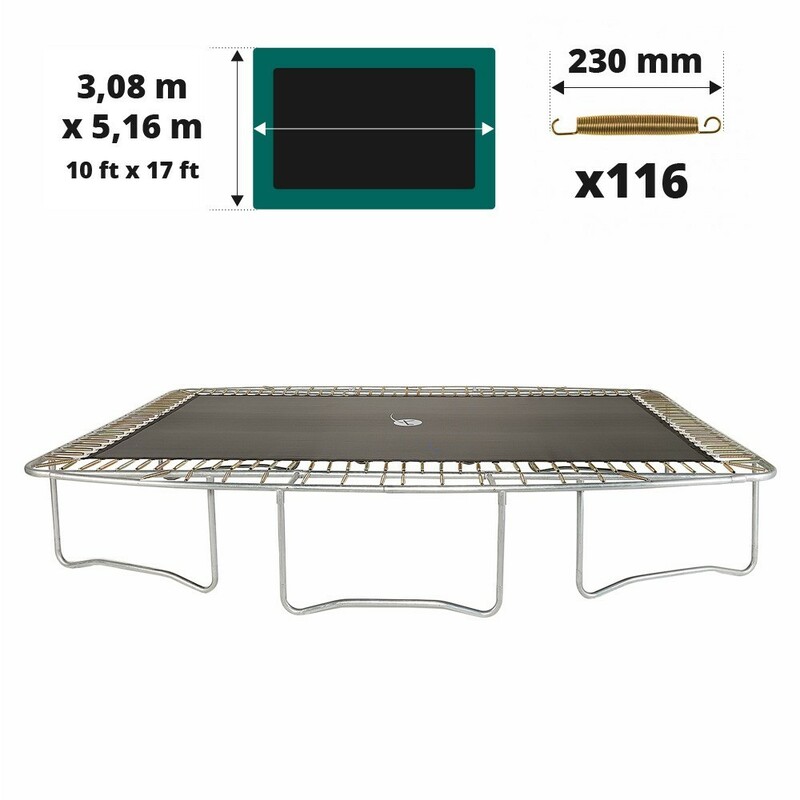 - This jumping mat is adapted to the Apollo Sport 500, but can also be fitted to any other trampoline with the same measurements. Measure the exterior diameter of your trampoline carefully before ordering to make sure you have the right jumping mat. 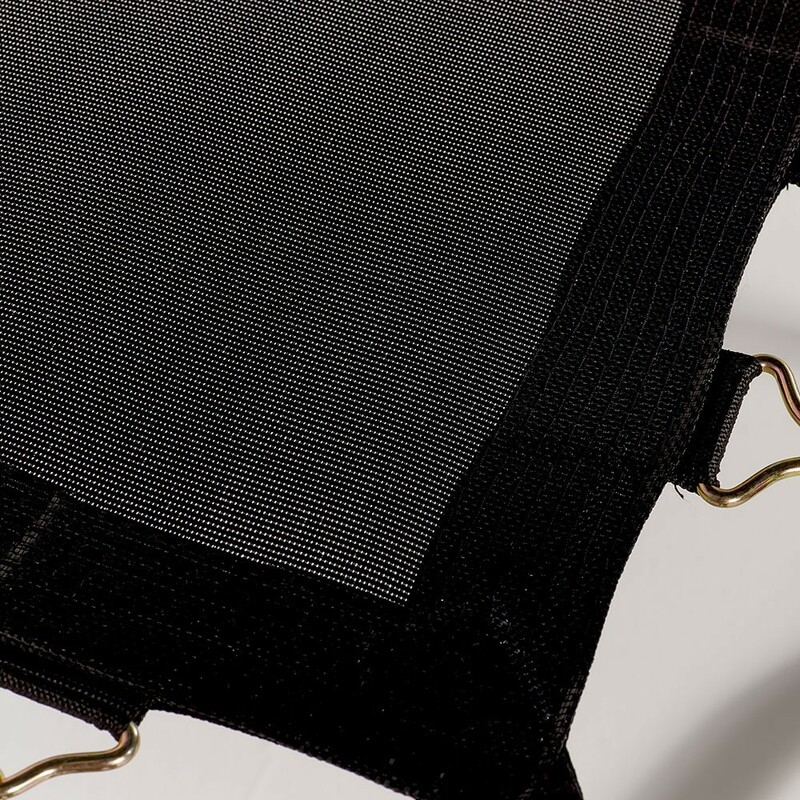 - Thanks to the polypropylene fabric, also called Mesh, we can guarantee that all of our products are highly resistant. 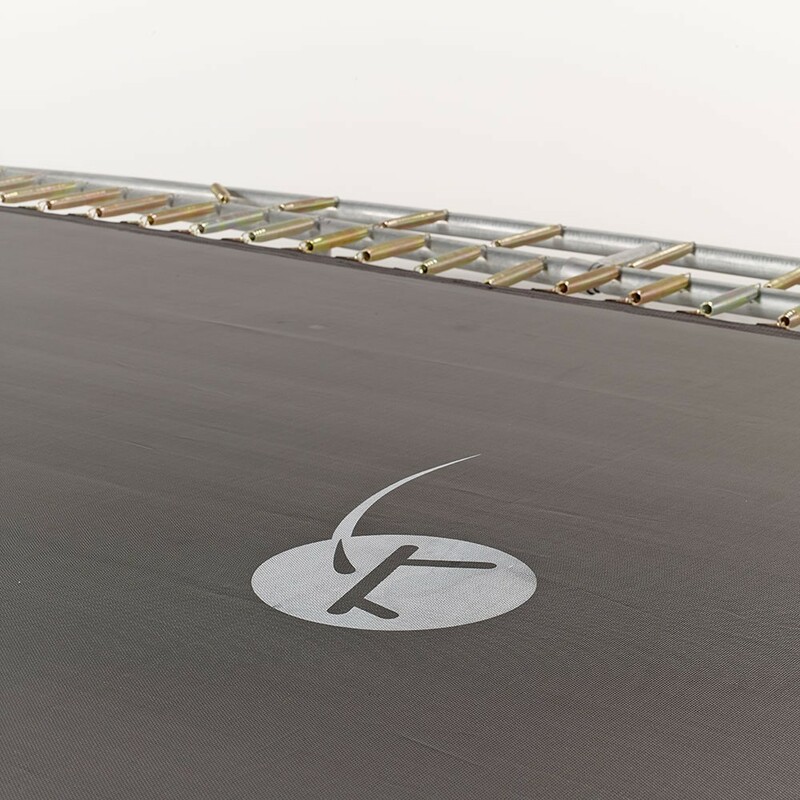 A UV-protective treatment has been applied to the jumping mat, protecting it from the sun and increasing its durability. 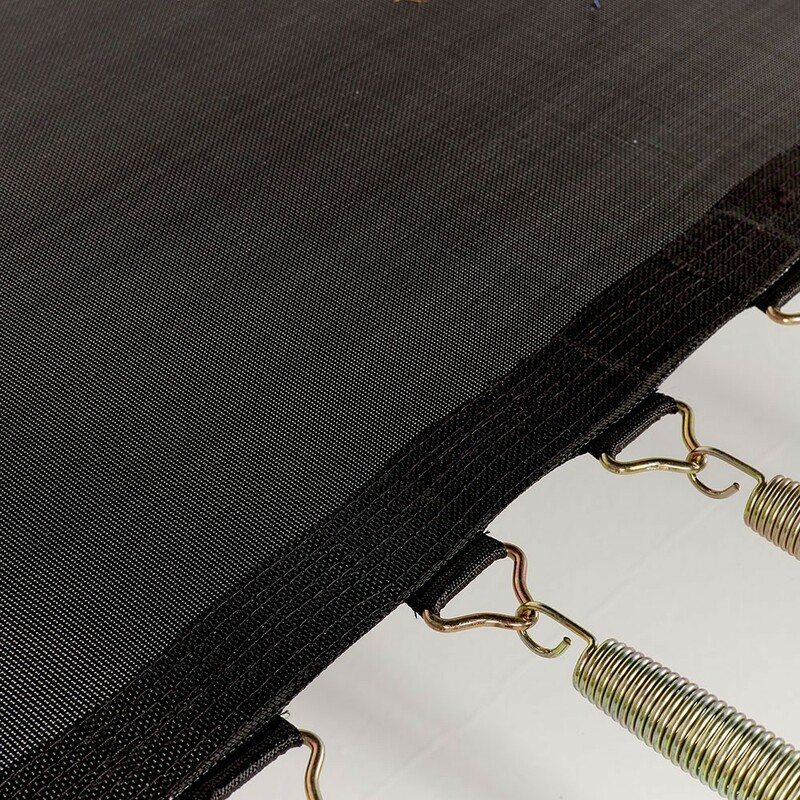 - 8 rows of stitches reinforced with a strengthening strip guarantee that this jumping mat is perfectly solid. The whole system is even more durable thanks to the galvanised steel rings that are fixed to the straps at the end of the rows of stitching. These rings have been hot-dip galvanised and are extremely rust-proof. 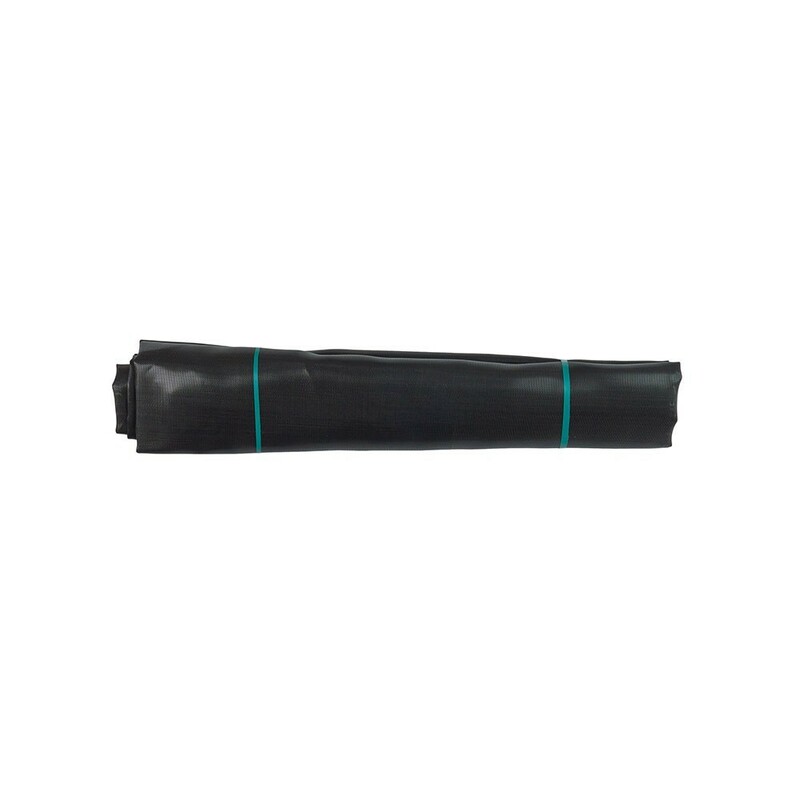 - This product is adapted to trampolines measuring 5.16 m by 3.69 m with 116 springs of 230 mm in length. To measure your springs, press firmly down in the centre of the spring to release it. Remove it from the framework of the trampoline. Measure it in the palm of your hand, from hook to hook.